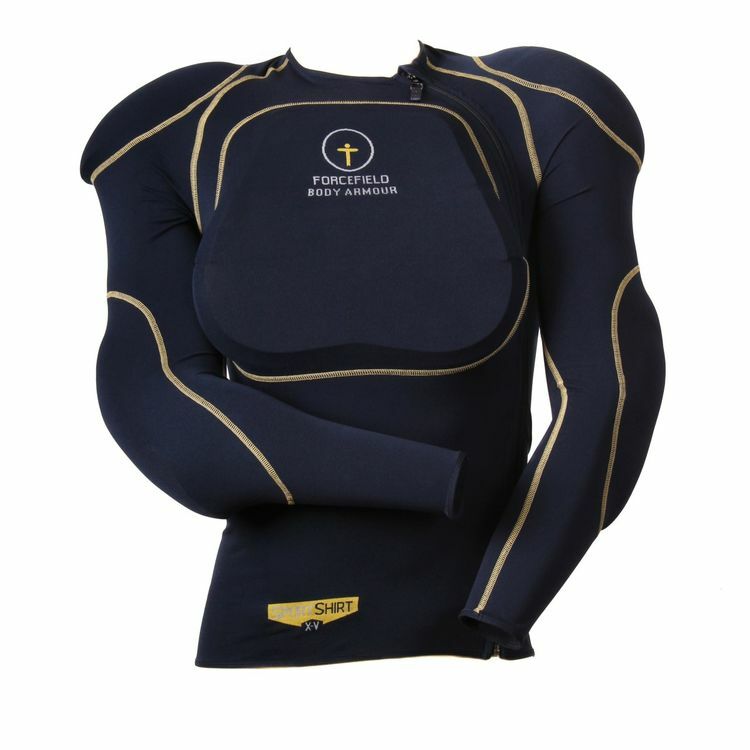 The Forcefield Sport Shirt 1 is a more affordable armored shirt with CE Level 2 back and chest protection and Isolator CE Level 1 shoulder and elbow protection. Wear the Forcefield Sport Shirt 1 under your jacket for the protection you need. i really was expecting more from force field. lets start with what they got right. the fabric is very soft and breathable. you will have absolutely no problems staying cool in this. it breathes like its not even there i cant stress how well this ventilates. if you've ever owned an under armor compression shirt that is basically what this is made of. that's about it for what they got right. now here are the things that caused me to return it. obviously i knew this wasn't going to have any abrasion resistance its not made for that. its meant to be worn underneath your regular jacket. however, the stitching on this shirt begins to crackle as soon as you put it on. i don't know how well its going to hold up with regular use much less in an accident. the armor is nothing but high density foam. the cheap stuff. you're not getting anything close to the ce level 2 armor force field is known for like the pro lite series back protectors. speaking of the armor i could not get it to stay in place. the fabric is so stretchy that the armor simply moves around everywhere. never really staying in the right spot. even when i tried it on underneath my jacket. the biggest issue i had with this shirt is simply the zipper. this is the cheapest feeling zipper i have ever tried to use. its thin and flimsy and feels like it would break after a couple dozen uses. my 20 dollar Chinese hoodie has a tougher zipper than this thing. it wouldnt take allot of force to knock it from its track. i wouldnt trust this shirt in an accident so i returned it shortly after receiving it.